Hmmm…. OK – enough can you get doxycycline without prescription stream of consciousness writing! So, it’s on its way and I think it’s really good. Some of the stories you’ll already have seen if you’re a subscriber (The Wedding Weatherman and Fuel Pressure among them) but many more are completely new. 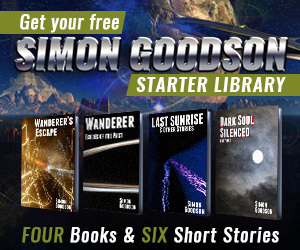 If you like my short stories I think you’ll love these. When will it be out? To be honest, I haven’t worked that out yet. With Christmas coming up my editor is going to be busy with other things, as would be my proof reader if I managed to get it to him. I’ll work out a definite release date at the start of January most probably. And as for Wanderer book five… well, that’s a whole different update which will be coming soon. Sorry!